Drunk driving is a huge problem everywhere in America. It’s been estimated by the CDC that 29 people in the United States die from a traffic-related death every single day. That means one person dies every 50 minutes, and drunk driving costs more than $44 billion per year. The statistics for Baltimore are even more frightening. As America’s second most-populous state, Baltimore ranks highly in impaired driving incidents – even more highly than California, which has a much higher population – 39.4 million compared to 28.3 million. While Maryland drunk driver accident law helps punish those who are impaired and cause accidents, more needs to be done to keep these drivers away from the wheel – and understanding just how common drunk driving is in Baltimore is a good place to start. We mentioned that Baltimore has more drunk drivers than California, despite having a smaller population. This is a frightening thought. According to the CDC, 13,138 people were killed in Baltimore DUI crashes from 2003-2012. In California, only 10,327 people were killed by DUI crashes from 2003-2012. This means that the rate of deaths was nearly 30% higher in Baltimore, despite the population having only about three-quarters of the population of California. Put more simply, more people drive drunk in Baltimore than they do anywhere else in the United States. A huge percentage of all traffic accidents in Baltimore are related to driving under the influence of alcohol. There were a total of 17,434 DUI crashes in Baltimore in 2016. The city with the highest number was San Antonio, at 1,845, and Maryland was second, with 1,492 drunk driving crashes happening in the year 2016. The vast majority of these crashes occurred between 6 PM and 4 AM, on Saturday and Sunday, which correlates with typical drinking behavior. Though they are commonplace in many other states, sobriety checkpoints are not allowed in Baltimore. There is no provision that allows for the random checking of drivers at sobriety checkpoints – even during holidays like New Year’s Eve, where 40% of all traffic fatalities involve drunk drivers. This means that it’s harder for Maryland law enforcement to identify drunk drivers and get them off of the road – which could contribute to higher overall rates of drunk driving and more accidents. According to research compiled by MADD, the average drunk driver gets behind the wheel a stunning 80 times before they are arrested for driving while intoxicated. Around 4.2 million U.S. adults get behind the wheel while intoxicated every 30 days – resulting in a yearly total of around 121 million alcohol-impaired episodes of driving. It’s likely that even this number is under-reported. Despite this, there are only about 1 million drunk driving arrests each year, though this number is growing somewhat each year. That means that the vast majority of drunk drivers are never caught – and are free to continue their dangerous and risky behavior. In Baltimore, breathalyzer ignition interlocks are required for all DUI offenders, in order for them to have their driving privileges restored. More than 40,000 of these devices have been installed in Baltimore since 2015 alone, and since this law was put into practice, drunk driving deaths have decreased by 8.5%. Though the state of Baltimore is trying to reduce drunk driving, it’s still a big problem, as all DUI attorneys in Baltimore know. 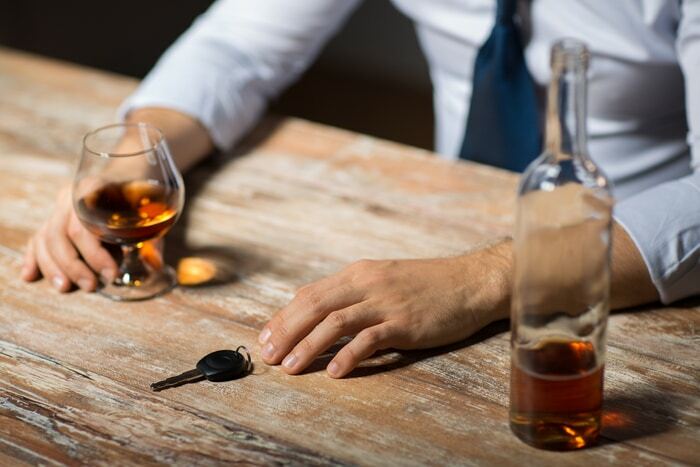 If you or a loved one has been injured by a drunk driver, you need to understand just how common this problem is – and the rights you have for compensation and restitution in Maryland.